Welcome to another blog and income update. This month was full of learning and working on many things. I have always been very excited and nervous about sharing my blog updates. It’s ‘not my thing’ to share all the details. But you know what, sharing these blog updates has given me an excellent opportunity to learn from my mistakes. It is quite easy to get overwhelmed in the blogging things, but these updates let me take a step back and analyze how things are going. The traffic has started picking up in the month of October and I am hopeful this continues for the rest of the year. If you are thinking of starting a blog, just do it. I took the leap and started my blog, and now I am making significant income from it. It took time and hard work, but is all worth it. I have a super easy step-by-step guide to start a blog even if you are not a techie. So, go ahead and start your money-making blog. There are two reasons I share my blog update and income report, first to be accountable and then to show you no matter how young your blog is, you can still make money from it. The traffic started to pick up last month mainly with Pinterest. I am still working on updating pins and writing more keywords based descriptions. I also made a point to increase the number of internal links in my posts which really helped in decreasing the bounce rate. Building my list has been a big challenge for me, and last month, I have seen a big spike in the number of subscribers. The main reason for this is, I have been experimenting the conversions of different types of forms. And, welcome mats have given me a high conversion. I am also brainstorming more freebies for my readers. The growth is also because of my FREE blogging course and because of the feedback I got from my readers, I am working on another free course which will be live soon. I am hoping this course will be useful for my readers. Pinterest started to pick up last month, and I hope to see some good numbers next month. Since last month, my followers’ growth has been slow; I would like to see a change next month. Last month, I pinned a little less, just sticking to my usual pinning times but pinning less of my content to the group boards. I am also experimenting tips with this new Pinterest course that I bought last month. 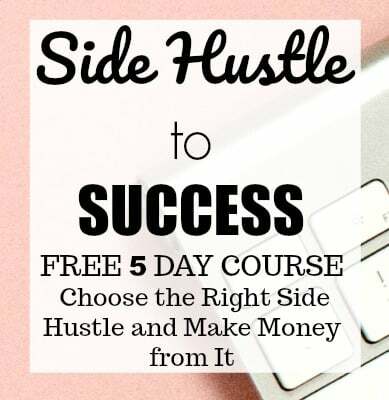 The one Pinterest eBook which have been following and the one which has given me HUGE amount of traffic is Pinteresting Strategies. This eBook is a must for anyone to grow their Pinterest traffic. Now, I see good growth on Facebook, the reach has gone up, and my likes have been going up a lot. I share a lot of others content and less of mine, this has always helped me to increase exposure to my page. Like I say every social media platform has its own success formula and I believe this works on Facebook. Twitter is at the same level like last month. I am not able to find time to focus on it much. Working on Twitter is something I will do soon, hopefully. I was posting a little less on Instagram last month, but I intend to be more consistent. Instagram is a great outlet for my photography and travel passion. I am super inspired by all the pro photographers out there, and I get to learn a lot. I am very much looking forward to posting more consistently on Instagram. Now for the income report. 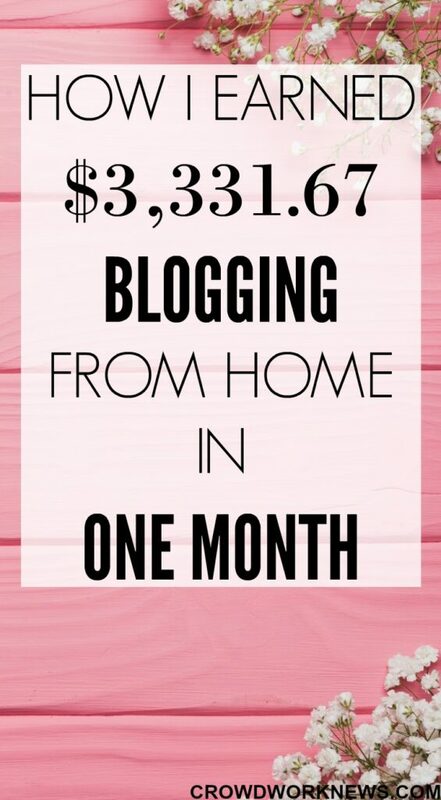 Last month, I earned $3,331.67 from my blog. This was mostly through affiliate marketing and ads. The income numbers are slightly up than the previous month. I am still working on increasing the income and traffic for the next coming months. This month my income was equally divided between ads and affiliate marketing. My primary goal is to grow affiliate income and diversify it further. If you are new to my blog income reports, then the number one reason that I give credit to my income growth is due to Making Sense of Affiliate Marketing course. 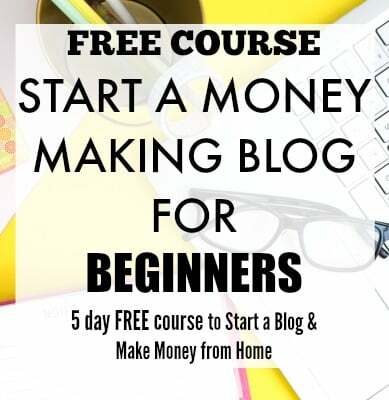 I know there are many blogging courses out there, but if you want to focus on affiliate marketing to generate income from your blog, then this is the course that you need. Pinterest took most of my time last month, worked on many things like changing the pin descriptions, updating new pins, etc. It’s definitely worth my time because 90% of my traffic is from Pinterest. I also bought a very in-depth Pinterest course. Since the starting of my blogging journey, I have only used and loved Pinteresting Strategies for my pinning techniques. Since a month or two I have been around 100k page views and I want to break this plateau. I am hoping to see a change in Pinterest traffic with this new course. Last month was a bit overwhelming for me regarding my work-at-home job and blogging. But the thing that I love about blogging is, it is SUPER FLEXIBLE. It perfectly suits my work routine, working early mornings or late nights. So, if you are a stay-at-home mom looking for an online hustle, I would highly suggest blogging. Planning and scheduling things ahead is something I am doing a lot lately and I find tools like Hootsuite, Boardbooster very helpful for this. My time is limited, and if I schedule things ahead, I get time to focus more on growing my list and promotions. My primary goal for coming three months would be to grow my email list, increase income and traffic. I am also working on another FREE course which would be great for my extra income series. I hope to get my traffic up to 200,000 in the coming months, and I would be excited to see the results after I implement the new Pinterest tips. As I said last month, breaking the five figures would be great before this year ends. Fingers crossed!! Increasing my list close to 4000 is something I am going to aim for. With the new freebies, this might be possible by next month. Update: All the below resources have helped me immensely to reach to this point in this one year of blogging. I highly recommend them, and they can be quite helpful to all of you no matter at what stage of blogging you are. I am happy to answer any questions you may have about these resources. Facebook GPS – Tracie is a pro when it comes to Facebook strategies, and her course is a complete guide to growing your Facebook growth. My reach is increasing every day as I keep implementing tips from the course. Strategies Worth Sharing – An eBook which I bought even before starting my blog, and it helped me to reach 700+ likes on Facebook. With Facebook being the second most biggest referral for traffic for many bloggers, you need to invest in this to grow your traffic.